Commenting on Arya’s reunion , albeit a brief one, with long-lost Nymeria in the second episode of Game of Thrones season 7 , The Independent predicts “chances are that won’t be the last time we see the direwolf. 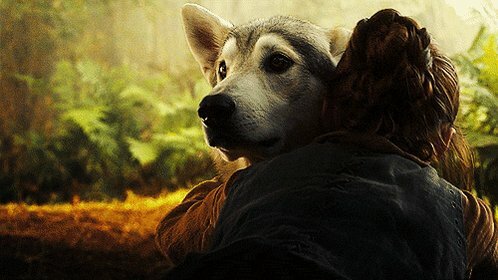 Fans were crestfallen as Nymeria walked away along with wolf pack after surrounding the Stark girl. As the wolf walks aways, the heartbroken Arya says: “That’s not you”. According to the Independent Beniof said Arya wants Nymeria to come back home with her and be her loyal companion again. “But Nymeria has found her own life”. ““Arya’s not domesticated and it makes total sense her wolf wouldn’t be either. Once the wolf walks away, at first she’s heartbroken to have come this close. Then she realises the wolf is doing exactly what she would do if she were that wolf,” said Weiss continues. Since its debut in 2010, the fantasy epic has picked up 38 Emmys, more than any other fictional show, but showrunners David Benioff and D.B. Weiss announced last year it would finish with 13 episodes spread over a final two seasons. Season 7 premiered to record-breaking ratings — more than 10 million live tune-ins and a further six million streaming the show later. The last season averaged 25.7 million viewers per episode across all platforms, including delayed viewing, making it the most watched season of an HBO series on record.